Former UN Secretary General Kofi Annan says the West has been slow to tackle Ebola because it began in Africa. His tough criticism of the West’s response to the crisis highlighted idea that, had the epidemic originated in the US or Europe, the response would likely have been much swifter. „I am bitterly disappointed by the response… I am disappointed in the international community for not moving faster,“ Annan told the BBC programme Newsnight. Annan said that it should have been clear from the beginning that the disease would eventually spread out of Africa, but Western nations appeared to be putting off making the tough calls. So far one nurse in Spain has contracted Ebola, along with two nurses in the US who were treating patients who had contracted the disease in Africa. 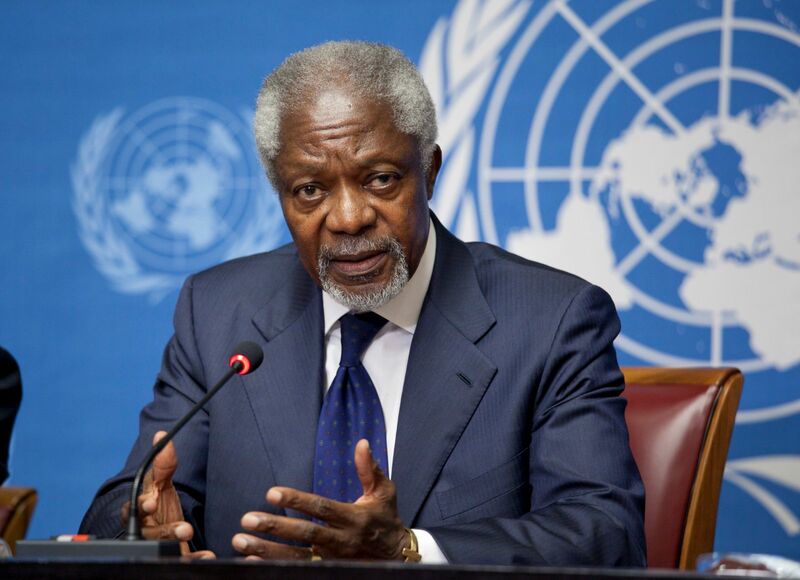 „I point the finger of blame at the governments with capacity… I think there’s enough blame to go around,“ Annan said. The World Health Organisation estimates that Ebola could be infecting 10,000 new people each week by December.